Despite the campaign against him, what Andrew Barr said about mainstream media in this country is, unfortunately, true. 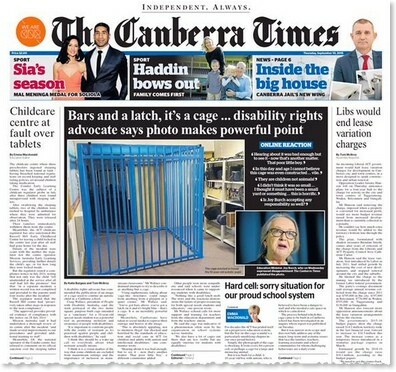 The ACT's chief minister Andrew Barr has taken a swipe at journalists and mainstream media, which The Canberra Time is calling a Trumpian desire "to shape government policy to his personal, long-held enmity". What’s black and white and (in the) red all over? It's unrelenting bad news for Australia's newspapers. 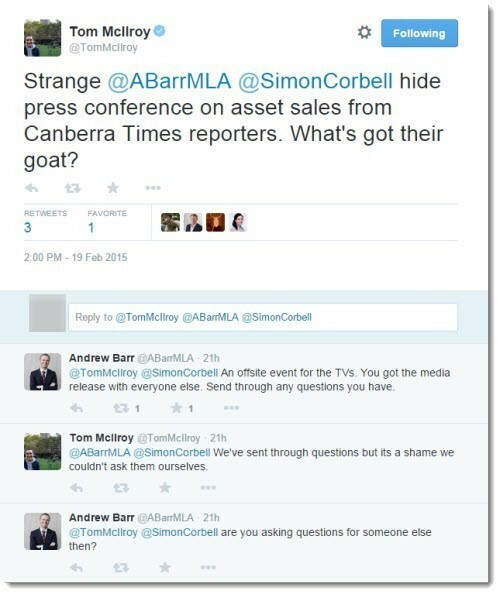 Relations between the ACT's chief minister Andrew Barr and the Canberra Times are icier than ever. A controversial image is at the centre of a debate around disability rights and the ACT's education system. Ethical questions raised over NZ Herald journo, Canberra Times bids adieu to a stalwart and Pickering passes on the project. Plus other media tidbits of the day. More than 600 Fairfax staff across the country are on strike, after the company announced dozens of redundancies.